This is one of the best loan brokers out there, and my top pick whenever I needed a residential loan. 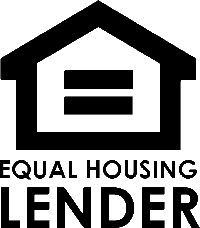 I’ve done multiple loans for both my primary and investment properties, including HELOC. David usually replies within 10 minutes via email and super quick responses, and he works almost everyday until late night. I’ve received replies around mid-night several times just asking a few questions about my loan status. His team members are also quite helpful and fast, of 4 loans I’ve done through them across all these years, probably only one I feel the timing is a bit close to the expected, other loans are all well before the deadline on the contract, and I even got one commitment letter in a week! David and his team helped us navigate the mortgage process with great ease, and we were able to close in a matter of weeks. We received a lot of personal attention, and they were able to secure a great interest rate. I highly recommend Canyon Mortgage to anyone who needs a mortgage. David is amazing person and someone who will do the right thing by his client. This is my second purchase using him and I am never disappointed. All my questions and concerns were answered and I felt he went above and beyond to make this purchase possible. I have been talking to David for almost 2 yrs, regarding what kinds of loan is best fit for me, Refinance or new loan. David guided me step by step and finally I settled in a new loan and successfully closed. We never met, everything is via phone and digital, saved me lots of travelling time. Easy approval, as long as David said you can do the loan, 99% you can close at the end. I will continue working with David for my future property purchase. Canyon Mortgage is the best. Their mortgage specialists are the experts in the industry. They are professional, knowledgeable, efficient, honest, and were always available to answer all my questions by phone or email. 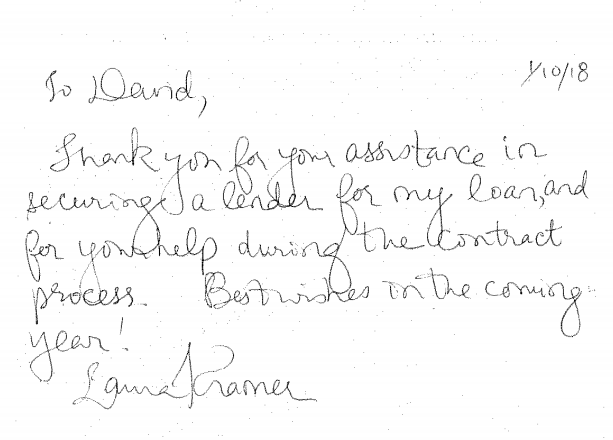 David guided me through the whole process with exceptional expertise and helped me get a great mortgage rate. I am now the happy owner of a affordable co-op that I truly love. I would like to take this tine to thank you for all the help you both gave me during this process. You are so dedicated and professional and even though, this process is so stressful, you both made it easier! Thank you so much from my family and I.
I honestly can’t thank you enough. You made this process a breeze! Maria and I kept thinking to ourselves that something was going to go wrong because it was all working out LOL. We couldn’t asked for anything better from a mortgage company. I appreciate all your hard work expediting everything. I can’t believe we go to this point so quickly!!! Hi James, I feel very strongly about giving credit where credit is due. I know I’ve been extremely type A through this process with a ton of questions and a lot of frustration (at the situation). I just wanted to say that Nadine is simply wonderful to work with. She is kind, knowledgeable and (most important) responsive at all times. She is a true professional and has a great sense of humor as well. I know we still aren’t out of the woods, but I felt you should hear what a gem she has been to work with. The whole team has been great. I appreciate so much all you guys are doing to expedite the mortgage process for me. Thank you very much for your help to make it happen. Your dedication and professionalism is highly appreciated. Help!!! You and your company did such a great job for me with our mortgage for the apt! The guy I am working with for refinancing my home in NJ is giving me such a run-around and when we came close to closing, he insisted on a higher rate than we had previously agreed too!! I am so pissed off, especially given how smoothly working with you went. My question: Can you do refinance in NJ? If not,do you have someone that can work as quickly and as honestly as you. A referral would be appreciated. We just wanted to thank you for your help in this process. David, as you know, it took us over a year to finally find a house. Working with you and Vanessa was a very positive experience; very different from our first home buying experience when we lived in Tacoma. We would like to take this opportunity to share our appreciation for all you have accomplished for us. Our VA refinancing went as smooth as silk thanks to you and your staff. A special thank you to Johanna for being on top of every situation that arouse. 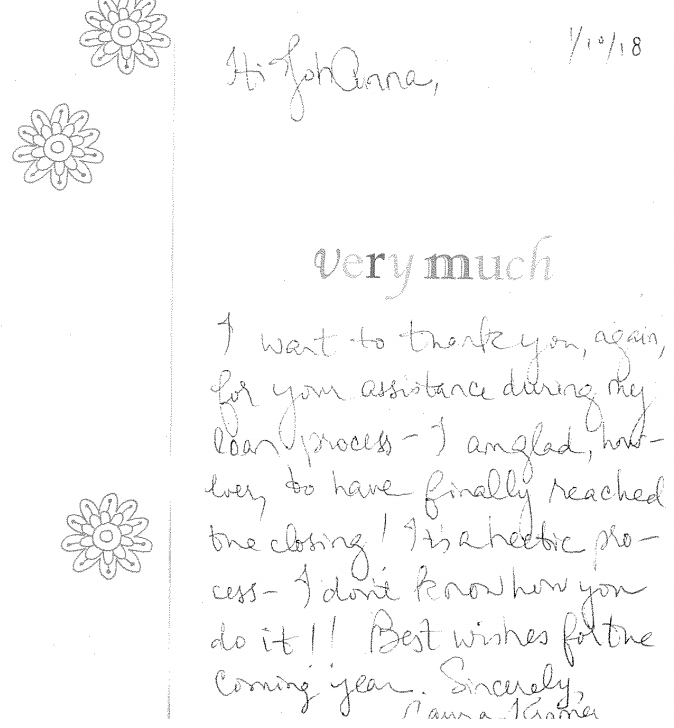 Not only did Johanna display all the efficiency that one could imagine, but she handled everything in such a timely manner. That is a rare thing in today’s world. Thank you for all you have done for us. We can’t wait to recommend you and your friendly staff to our friends and family that might need your services. David, the service has been excellent. Your company has been a pleasure to do business with. Johanna has kept me very well organized.